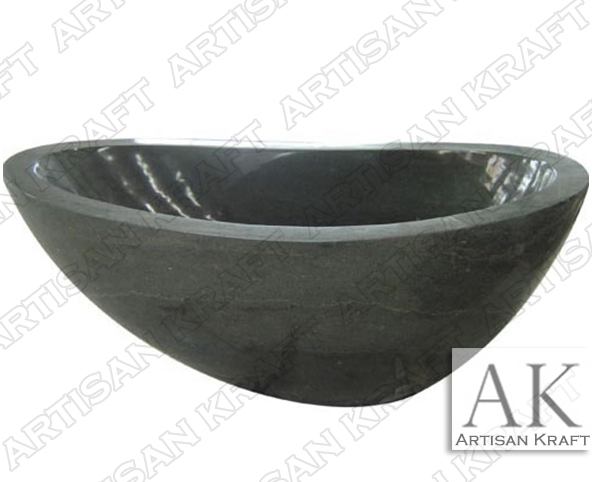 Rainforest Green Natural Stone Bathtub carved from a solid block. The freestanding double slipper tub design is customizable in any size. This is a unique take on the double slipper style. These are available with a polished finish or natural exterior. Pictured here with a polished exterior. Natural stone has many unique features that allow each tub to stand out. This is a deep bathtub design making is great for soaking and relaxing. Make sure to also check out our trending freestanding copper bathtubs.